ULINIG, is the filipino term to hear or listen to. 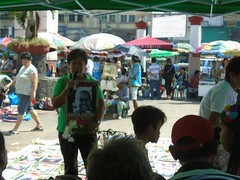 ULINIG (Dinggin, Damhin, Kilalanin) – Listen, Feel and Learn who the victims of enforced disappearances are. 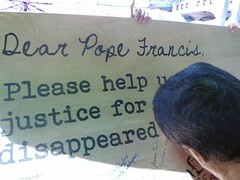 The exhibit on enforced disappearances invites us to hear the voices of those who were forcibly silenced. Listen to their cries. Feel their anguish and struggle. Discover who they are. 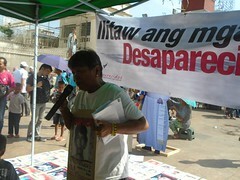 Mothers, fathers, daughters, sons, sisters, brothers, friends and acquaintances, they are the disappeared.